The suggestion in your last letter to me is a very sensible one. I do think that people in general would like to get some idea of my system of training as a whole, in a comprehensive form. In the past there has been far too much of referring them to one quite unprocurable document and then to another which probably has not even been written. No wonder that they go away sorrowful. So I am going to put in as the last of this series of Letters an account, as clear and as succinct as the gods enable me to do, of what they may expect to have to do to get good marks from Grandfather. Of course I shall not be able to avoid altogether reference to the various official documents, but I will make these as short and as few as I can. First of all then, my system can be divided into two parts. Apparently diametrically opposed, but at the end converging, the one helping the other until the final method of progress partakes equally of both ele- ments. For convenience I shall call the first method Magick, and the second method Yoga. The opposition between these is very plain for the direction of Magick is wholly outward, that of Yoga wholly inward. I will deal first then with Magick. How do I define this word? I have to assume in all that follows that you have thoroughly understood the doctrine of 0 = 2. All Magical action may be classed as under the formula of progression from the “0” to the “2”; in other words it is complete extraversion. The aspiring Magician only analyses himself for the purpose of finding new worlds to conquer. His first objective is the astral plane; its discovery, the classification of its tenants, and their control. All his early practises therefore are devoted to exploring the worlds which surround (if you choose, or if your prefer—are contained in) the object of sense. If there is a tree in your garden, you want to find out whether that tree is occupied by a nymph or a nat, and if so, what are they like? How do they act? How can you make them useful to your purpose? It is in fact the ordinary every-day scientific method of exploration. The only difference is that in the course of one's experiments one becomes aware of parts of the nature of the object to be examined which are subtler and perhaps more powerful, nearer to reality, than those which ordinary scientific examination discloses. You will notice, however, that the qualities above-mentioned are identical. The chemical elements which go to form a tree are subtler, more powerful and nearer to reality than the tree as it is presented to the senses. Finally, we reach the conception of molecules, atoms, electrons, protons, neutrons and so on, and nobody needs telling nowadays what unfathomable potencies lie hidden in the atom. When I say subtler, moreover, I mean it. The analysis of matter has resulted in the extraordinary discovery that the definition of matter as given by the physicist of to-day is very similar indeed to the definition of spirit as stated by the mystics of the middle ages. Henry Poincaré has well pointed out that the results of scientific experiment as we know them, are altogether in their way dependant on the existence of our own peculiar natures. If, for example, we had no sense to use in our exploration but that of hearing, we should have worked out a classification of trees entirely different from that which we now possess. We should have taught our students how to distinguish the sounds made by an oak and an elm respectively in a storm; the differences in the rustling of various kinds of grass, and so on. Similarly the results of our magical experiments are naturally and necessarily very distinct from those which we obtain by ordinary methods. To begin with we must build up an apparatus of examination, and this we do by discovering and developing qualities in our own structure which ware suitable for the purpose. The first step is the separation of (what we call, for convenience) the astral body from the physical body. As our experiments proceed, we find that our astral body itself can be divided into grosser and subtler components. In this way we become aware of the existence of what we call, for convenience, the Holy Guardian Angel, and the more we realise the implications of the theory of the existence of such a being, the clearer it becomes that our supreme task is to put ourselves into intimate communication with him. For one thing, we shall find that in the object of sense which we examine there are elements which resist our examination. We must raise ourselves to a plane in which we obtain complete control of such. It is found furthermore in the course of experiment that a great many of the apparent differences in our study conceal a hidden unity, and vice versa. Like every other science, both the subject and the object of the work increase as that work proceeds. Take a simple matter like Mathematics as our analogy. The schoolboy struggling with the Rule of Three is a very rudimentary image of the advanced mathematician working on the differential calculus. From the above it ought to be clear to you that I have said all that really needs to be said in explaining the whole of Magick as the science and art of extending, first in oneself, one's own faculties, secondly in external nature their hidden characteristics. Before closing the subject entirely I think it well to point out that there are quite a number of worlds on which a good deal of work remains to be done. In particular I cannot refrain from mentioning the work of Dr. Dee and Sir Edward Kelly. My own work on this subject has been so elaborate and extensive that I shall never sufficiently regret that I never had an opportunity of completing it, but I should like to emphasize that the obtaining of a book like Liber 418 is in itself so outstanding an achievement that it should serve as an encouragement to all Magicians. 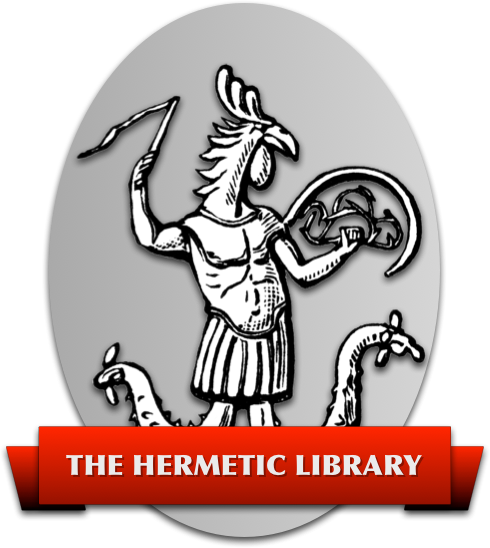 In the case of many worlds, in particular that of Abra Melin, of the greater and lesser Keys of Solomon, of Pietro di Abano, of Cornelius Agrippa, while we have perfectly adequate information as to the methods we have very meagre examples of the results, especially so far as refers to the technical side of the work. I must conclude with a warning. So many of these branches of magick are so fascinating that any one of them is liable to take hold of the Magician by the short hair and upset his balance completely. It should never be forgotten for a single moment that the central and essential work of the Magicians is the attainment of the Knowledge and Conversation of the Holy Guardian Angel. Once he has achieved this he must of course be left entirely in the hands of that Angel, who can be invariably and inevitably relied upon to lead him to the further great step—crossing of the abyss and the attainment of the grade of Master of the Temple. Anything apart from this course is a side issue and unless so regarded may lead to the complete ruin of the whole work of the Magician. The second part of this letter, which appears to be expanding into a sort of essay, will be devoted to Yoga. You will have noticed that the grade of Master of the Temple is itself intimately associated with Yoga. It is when one reaches this plane that the apparently contradictory forms of the Great Work, Magick and Yoga, begin to converge, though even earlier in the course of the work it must have been noticed that achievements in Yoga have been of great assistance to magical operations, and that many of the mental states necessary to the development of the Magician are identical with those attained in the course of the strictly technical Yogic operations. The literature necessary to the study of Magick is somewhat variegated; there are quite a number of classics on the subject and though it would be easy enough for me to draw up a list of not more than half-a dozen which I consider really essential, there may be as many as an hundred which in the more or less subsidiary forms are useful to the magician. With Yoga the case is very different indeed. The literature on the subject is so enormous and contains so vast a number of more or less secret documents which circulate from hand to hand, that I believe that the best advice I can give anyone is to cut one's cloth very sparingly if one is to make a fitting suit. I do not think I am going too far if I say that Part I of Book 4 and my Eight Lectures on Yoga form an absolutely sufficient guide to the useful practise of the subject; anything else is almost certain to operate as a distraction. Swami Vivekananda summarised Yoga under four headings, and I do not think that one can improve on that classification. His four are: Gnana, Raja, Bhakti and Hatha, and comprise all divisions that it is desirable to make. As soon as one begins to add such sections as Mantra Yoga, you are adding to without enriching the classification, and once you begin where are you to stop? But I honestly believe that the excessive simplication given in Eight Lectures on Yoga is a practical advantage. Any given type of Yogas is the work of a lifetime and for that reason alone it is desirable to confine oneself from the beginning to an absolutely simple programme. What then is the difference between Yoga and Magick? Magick is extraversion, the discovery of and subsequently the classification of and finally the control of new worlds on new planes. So far as it concerns the development of the mind its object and method are perfectly simple. What is wanted is exaltation. The aim is to identify oneself with the highest essence of whatever world is under consideration. One might simplify this explanation by constructing some sort of apophthegm; Magick is the journey from 0 to 2, Yoga from 2 to 0. It is a very good rule for the Yogi to keep this mind constantly fixed on the fact that any idea soever is false. There is actually a Hindu proverb “That which can be thought is not true.” Consequently the existence of any idea in the mind is an immediate refutation of it, but equally the contraries as well as contradictory of that idea are false, and the result of this is to knock the second law of formal logic to pieces. One puts up a sort of sorites—A is B, therefore A is not B; therefore not A is not B; and all these contrary statements are equally false, but in order to realise this fact they must themselves be announced by the mind as ecstatic discoveries of truth. All these operations are equally valid and equally invalid, and the result of this is that the whole subject of Yoga leads to constantly increasing confusion. The fineness of the analytical instrument seems to defeat its own purpose and it is perhaps because of that confession that I have always felt in my deepest consciousness that the method of Magick is on the whole less dangerous than that of Yoga. This is particularly the case when discussing these matters with a Western mind. It is true that our 0 = 2 formula remains infinitely useful because it is of such potency in destroying the scepticism which so often disheartens one, especially in the highest realms of The criticism which the enemy directs against your sun-kissed tower is thrown back from those glittering walls. You accept the criticism at the same time as you dismiss it with a laugh. On the whole therefore I continue to regard the discipline of Yoga as its most valuable feature. The results attained by pushing Yoga to its end are on their own showing worthless, whereas the attainment of Magick, however lofty, is still immune to all criticism and at every period of its construction has been perfectly sympathetic with the normal consciousness of man. On this view indeed, one might laughingly remark that Yoga at its best is a smoke-screen thrown out by a battleship in self-protection. It may seem to you strange as you read this letter to have watched how the pendulum has swung always a little more and more towards the side of Magick. I do not know why this should have been, but that it is so I have no doubt whatever. I see quite clearly now that Yoga from its very first beginnings is liable to lead the mind away into a condition of muddle, and though for each such state Yoga itself provides the necessary cure, may not one ask oneself if it is really wise to begin one's work with axioms and postulates which are inherently dangerous. The whole controversy might be expressed as a differential equation. Their curves become identical only at infinity, and there is no doubt, at least to my mind, that the curve of Magick follows a more pleasant track than that of Yoga. To take one point alone: it is evidently more satisfactory to have one's malignant demons external to oneself. As I have written it has become clearer to me that this is the case, but I should not like you to arise from its perusal with any idea that I have been in some way derogating Yoga I would not like to maintain that it is necessary to Magick because there have been many very great magicians who knew nothing at all of the subject but I am just as strongly convinced as I was before that the practice of Yoga in itself is of enormous assistance to the Magician in his more intelligible path, only adding that he should beware lest the logical antinomies inherent in Yoga divert him from or discourage him in his simple path. 1: The reference is presumably to the law of non-contradiction, ~(A & ~A); or possibly to the law of Excluded Middle, (A v ~A) – T.S. 2: The reference is probably to the sequence of chapters Digamma-tau (177) to Digamma-omega (182) – T.S.